Monday after students and student-athletes at the University of Missouri raged against the machines of racism and institutional complacency with nonviolent protests, they got the change they desired; Timothy Wolfe resigned from his post as President of the University. His tone deaf resignation helped many understand exactly why the activists called for his removal and leaves many anxiously awaiting the future to see if the genuine change the community seeks materializes. introduce you to two women. 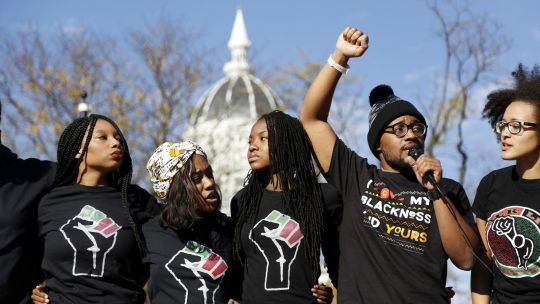 struggle for racial justice at the University of Missouri, they have been highly instrumental in the fight. They are, in fact, a large part of the reason that we know who Jonathan Butler is and why the Mizzou football players decided to take a stand. These two women helped form Concerned Student 1950, a group named in remembrance for the first year black students were admitted to the University. Concerned Student 1950 have hosted rallies and promoted the movement on social media. 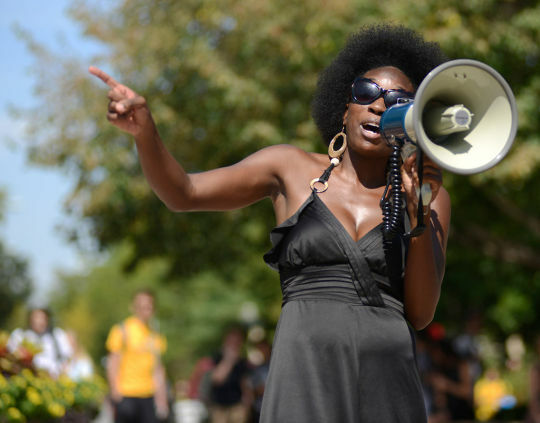 Poole and Walker have been rallying, protesting, writing and reciting poetry for change on Mizzou’s campus for the months and months that led up to Wolfe’s resignation. No, they aren’t student-athletes themselves. It is very likely that they know little about the taxing life of a student-athlete, but it is their refusal to accept the status quo that encouraged the Mizzou football players to take a stand. It is their vision and steadfastness that helped make Mizzou a topic of discussion for something other sports. For that, they should be recognized. movement. Everyone should take note. If you want to improve the status of women, of people in the LGBT community, of the homeless, of immigrants, of children, of any marginalized group; think collectively and with those whose walk in life might take them down a path that is different than yours. That’s how you get change.